MI6 was given ministerial approval for its role in delivering a Libyan dissident into the hands of Col Muammar Gaddafi, The Daily Telegraph has learnt. Abdel Hakim Belhadj was put on a CIA â€œrenditionâ€ flight to Tripoli, where he says he was repeatedly tortured, after British intelligence officers provided information on his movements. 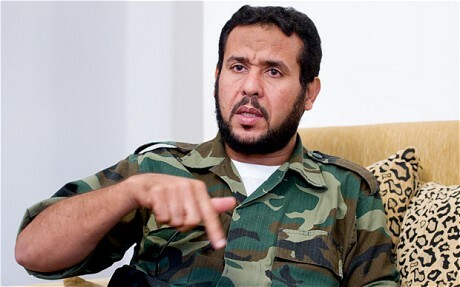 Mr Belhadj, who is now a leader of the rebel forces that have ousted Gaddafi, has demanded an apology from Britain for its part in the â€œillegalâ€ 2004 operation and has suggested he might sue the Government. But Whitehall sources responded by saying the involvement of MI6 in tipping off the Libyans had â€œministerial approvalâ€. David Cameron said the â€œsignificant accusationsâ€ would be investigated as part of the inquiry into the alleged torture of detainees, which is being carried out by Sir Peter Gibson, a retired judge. The Prime Minister also acknowledged concerns that the British and Libyan security services had become â€œtoo closeâ€ and suggested Tony Blair was too â€œcredulousâ€ with regards to the Gaddafi regime. The details of MI6â€™s role were contained in a cache of documents found in the offices of Moussa Koussa, the former head of the foreign ministry. Mr Belhadj was on a flight bound for London from Kuala Lumpur when Libyan and US agents, acting on a tip-off from MI6, arranged for him to be put on a CIA aircraft during a scheduled stop in Bangkok. The secret papers found in Tripoli also show that the flight was scheduled to refuel on the British-owned island of Diego Garcia, though the Foreign Office denied that the aircraft stopped there. Mr Belhadj said: â€œWhat happened to me and my family is illegal. It deserves an apology.â€ He has also said he would consider taking legal action. Whitehall sources defended MI6â€™s role in his transfer to Libya, insisting it was entirely lawful because Mr Belhadj was at the time a member of the Libyan Islamic Fighting Group (LIFG), which had close links to al-Qaeda. One source said he was the subject of â€œrendition to justiceâ€, a legal process allowing the transfer of terrorism suspects to face trial, as opposed to the illegal practice of â€œextraordinary renditionâ€. Assurances were sought and received that the suspect would not be mistreated and ministerial approval at Secretary of State level was received, sources said. Secret papers also showed that MI6 was involved in the transfer from Hong Kong to Libya of Abu Munthir al-Saadi, who was the religious leader of LIFG. Such transfers have been common practice and it is understood that both cases were examined by the parliamentary Intelligence and Security Committee in 2007 and regarded as within the law. Both Mr Belhadj and Mr Munthir were released from jail in March last year as part of a peace deal between the LIFG and the Gaddafi regime.